Looking for a 4-link set designed speciically for the Barbarian race chassis? This 4-link set matches the stock Axial Wraith lengths provided in the Wriath kit, givng you between a 13" and 13-1/2" wheelbase. 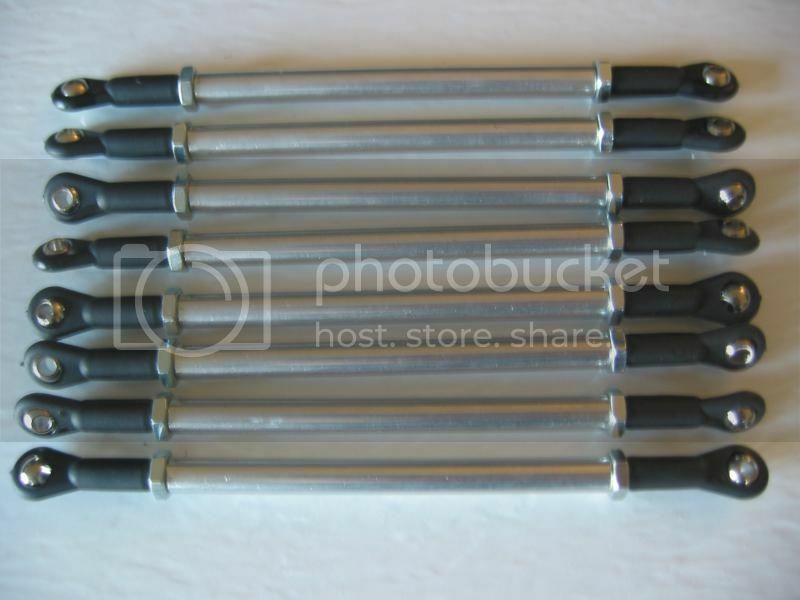 These 1/4" diameter 4-link suspension bars are manufactured from solid 6061 aluminum for maximum strength. Crawford Performance Engineering exclusively uses Dubro Nylon ball ends sized to accept #4-40 or M3 mounting hardware. Note: Links measure approximately 4-13/16" eye to eye. This product was added to our catalog on 10/18/2013.